Crime statistics in South Africa often leave one feeling anxious, there have been many interventions and efforts from all relevant forces to assist in putting preventative measures in place that ensure your peace-of-mind and safety in our country. In a recent article by Business Tech, we can see an improved and steady rand and a slight decrease in crime, however, there are still many challenges we face as a nation where low growth and high unemployment is still a very real concern. Read the below article to find more. “Swiss business school, IMD, has published its World Competitiveness Rankings for 2018. 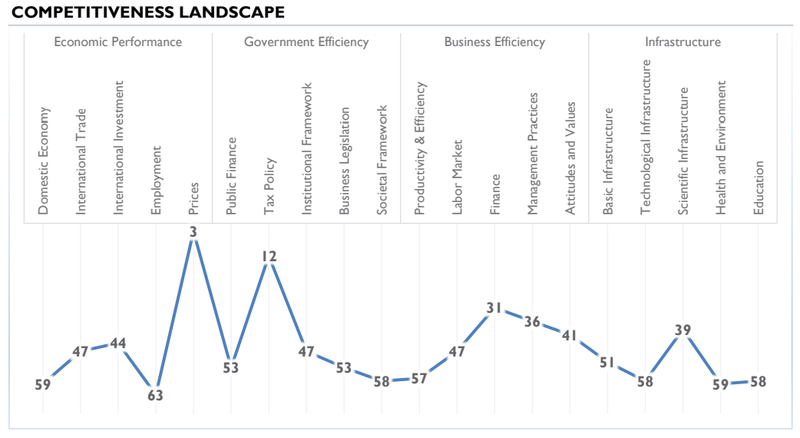 IMD uses 258 indicators to compile the rankings where ‘hard’ data – such as national employment and trade statistics – are weighted twice as much as the ‘soft’ data from an executive opinion survey, which measures the business perception of issues like corruption, environmental concerns and quality of life. This year, 63 countries are ranked. The top five most competitive economies in the world remain the same as in the previous year, but have seen an order change, with the United States returning to the first spot, followed by Hong Kong (1st in 2017), Singapore (3rd in 2017), the Netherlands and Switzerland. According to the report, the return of the United States to the top is driven by its strength in economic performance (1st) and infrastructure (1st). Hong Kong takes a somewhat different approach exploiting its government efficiency (1st) and business efficiency (1st). The Netherlands moved up one place to 4th, swapping with Switzerland which moves down to 5th. “The Netherlands’ advancement shows a ‘balanced’ path to competitiveness, ranking in the top 10 in economic performance, government and business efficiency. Switzerland declines mainly due to a slowdown in exports and, to a lesser extent, an increase in perceptions about threats of relocation of R&D facilities,” IMD said. “The remaining places in the top 10 are occupied largely by Nordic countries: Denmark, Norway and Sweden rank 6th, 8th and 9th respectively. Overall South Africa remains stable on the list at 53rd – its same ranking as in 2017. While this is still a relatively low ranking compared to the rest of the world’s developed economies, IMD said that some positive progress was being shown by the country as a whole.